The decision to convert your property from conventional, fossil fuel-generated electricity to power provided by the sun offers both financial and personal rewards. You can do well by doing good. Electric utility rates have climbed steadily over the years and, and the cost of finite resources such as fossil fuels is expected to accelerate at an even greater pace as the world's developing economies compete for the earth's dwindling supplies. Electricity prices have increased an average of about 5% annually for the past three decades. Installing an efficient solar system will reduce your utility bill by an average of 65 percent. With the rebates currently available, a solar system will pay for itself in just a few years. And, when the time comes to sell, solar systems had value to your property. But, as the saying goes, money is not everything. The vast preponderance of legitimate scientific and technical research indicates that the continued use of fossil fuels to provide our energy is having increasing negative affect on our environment. Pollution generated by power plants, industrial operations and internal combustion engines is causing serious health problems. Climate change is threatening our oceans, glaciers and ecosystems. Unless we all take responsibility for reducing usage of fossil fuels, the promise of our generation leaving the earth a better place for our children, grandchildren and future generations will never be met. Installing even the typical modest-size residential solar power system is the environmental equivalent of removing two cars from the road. 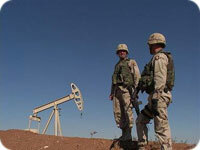 Ever since the Middle East oil producing countries (OPEC) launched the first oil embargo against the United States in 1973, the geopolitical handwriting has been on the wall. Our access to cheap oil, which had fueled our huge post World War II economic rise, turned into a dependence on foreign oil that has had not only economic implications, but serious national security dimensions as well. Each of us has a part to play in helping to reduce our dependence on oil produced by countries whose interests are not always aligned with ours. Converting to solar power in our homes and businesses is a practical, effective step we as individuals can take toward the goal of energy security.